Home » World » USA & Canada » Stephen Hawking – Assisted Suicide Should be Allowed! Stephen Hawking – Assisted Suicide Should be Allowed! Stephen Hawking believes that assisted suicide for the terminally ill should be allowed that they should be able to choose when the want to end their lives. The terminally ill have the right to end their lives that can choose to receive help to do so as long as safeguards are in place. 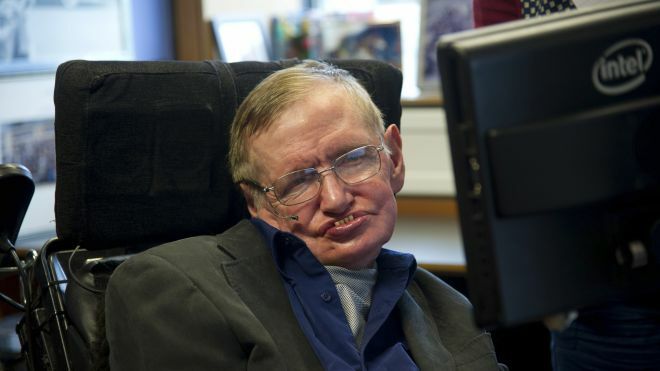 Hawking, who has made guest appearances in TV shows such as “The Simpsons” and “Star Trek,” says his active mind and sense of humor are key to his survival. Stephen Hawking : "Afterlife is a Fairy Story"
Chicago Police Website Down - Anonymous? Previous: Navy Yard Shooting – 1 Gunman Killed, More Shooters Possible!